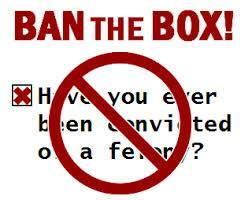 Ban the Box Movement – Are You In? People with a criminal conviction all know the drill when it comes to employment. You are filling out a job application and there’s that question again: Have YOU Ever Been Convicted of a Crime? What do you do? Check it and you will never hear back from the employer. Leave it blank and if you are one of the 92 million Americans with an arrest or criminal record, you run the risk of losing that job down the line when a background check is conducted. The Ban the Box movement, started in California in 2004 by our friends at All of Us or None, seeks to address this issue by banning the criminal history question on job applications. Now over 45 cities and counties across the country and a handful of states ban the box on their employment applications. SCSJ has contributed to successful Ban the Box campaigns throughout North Carolina, in Durham County and city, Cumberland County, Carrboro, and the Town of Spring Lake. We are currently working on initiatives in other counties including Nash, Edgecombe, Scotland, Hoke, Robeson, Richmond, and Wilson. We created the Ban the Box initiative guide as a tool communities can use to start a Ban the Box movement. The latest development in the movement seeks to ban the box on the applications of private employers. Minnesota is one of the latest states to do so, with a “private employer ban the box” law that took affect January 1st. Kevin Lindsey, Minnesota Commissioner of Human Rights said “This is a significant piece of legislation. This law offers the vast majority of individuals with a non-violent criminal record a second chance at an opportunity for employment to better their lives.” Some private employers, such as Target, have taken the initiative themselves to remove the box on their applications. 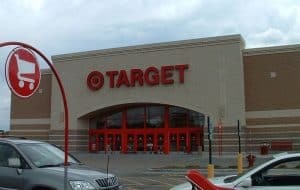 Target is Banning the Box in all of its stores throughout the U.S.
All of Us or None is now spearheading a Fair Chance Pledge that asks nonprofits and social justice organizations to commit to hiring people with past convictions. Here at SCSJ, we have two staff members who were formerly incarcerated. We want to hear from you! We would like to hear stories of people who have benefited from the Ban the Box movement and from nonprofits who have hired people with a criminal record. Write to us at info@southerncoalition.org and we will share you success stories with the wider community! Click here to support SCSJ’s work!